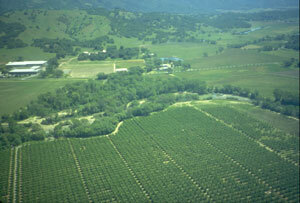 At Fetzer Vineyards, sustainability is a way of life and the cornerstone of the way we do business. For Fetzer, sustainability means a thorough commitment to environmental responsibility in all aspects of our vineyard and winery operations. This earth-friendly approach not only makes us better stewards of the land and resources, and better winemakers, it also makes us members of the community. We're proud to be pioneers and industry leaders in generating and implementing environmental and socially responsible practices, and we're delighted to share what we learned with others.